This blog post is specifically about this last value, Community. This last weekend I had the pleasure of creating and representing Team VMware at the Trek Bicycles Trek 100 charity bike ride. 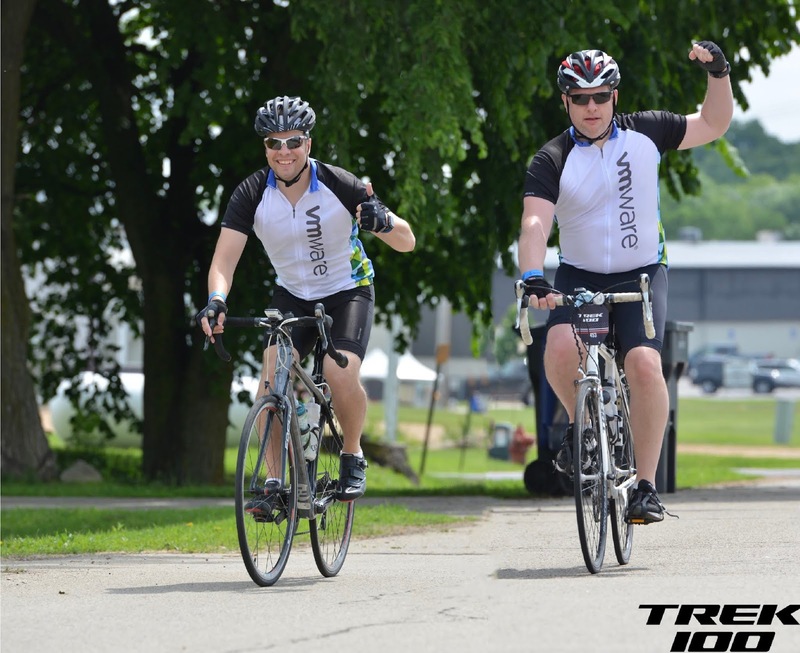 This is the 5th year I have done this ride, and it is the 3rd year I have created Team VMware. (VMware is not an official sponsor) All donations from this charity bike ride go to the MACC fund and help kids fight cancer. And also provides funds to further research on childhood cancer and related blood disorders. Over the last 3 years, other members of the #vCommunity has joined me on this ride. And together we have raised over $6000 for this great charity. A huge Thank You to all that have sent us your support! This year my friend and local Wisconsin VMUG leader Tony Reeves joined me on the ride just like he has for the last four years. We had a great time together and perfect weather this year, and we were joined by several thousand other cyclists from around the world. Best of all, doing this ride you get to see the beautiful southern Wisconsin countryside. This bike ride starts at Trek bicycle headquarters in Waterloo WI and proceeds north. The ride is fully supported in case you have a breakdown. And there are rest stops every 8-13 miles. After completing the 100km journey this year Tony and I want more of our friends in the #vCommunity to join us. So I have a challenge for all of you. 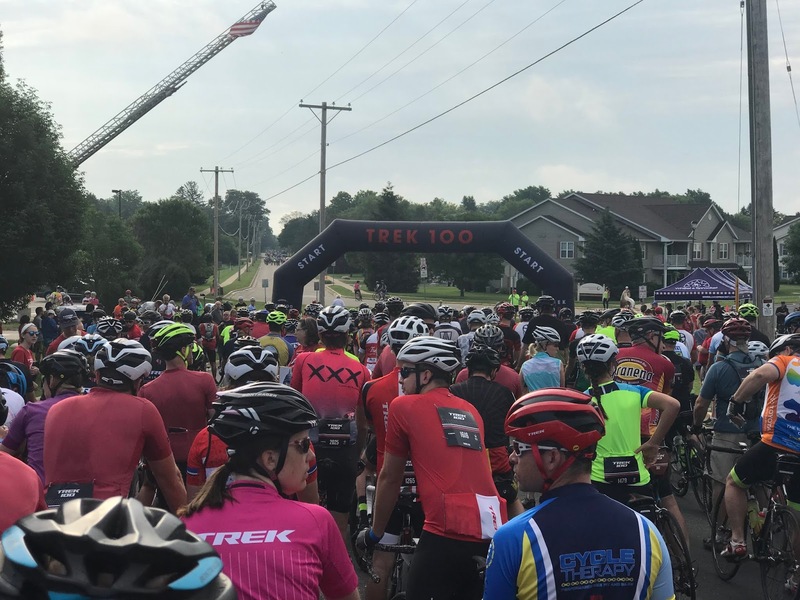 We challenge you to join us next year on the Trek 100, You have the next year to do some physical training and prepare to join us on a 65-mile bike ride for this awesome cause. I know many of you already are supporting great causes in your local community. We want to hear about it. So I'm asking you to write a blog about how you are a force for good in your community. Don't have a blog? You can submit your story to me and I'll post it here. Together lets become a force for good! Note: All things written here are of my own opinion and is not sponsored by VMware in any way.